The Cadets will debut an updated look to the corps' maroon and gold uniforms during the 2007 drum corps season. DCI.org recently dug through its picture archives to see how one of the most classic and notable uniform designs in the drum corps activity has evolved since the corps' founding. 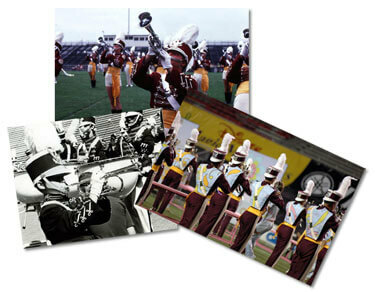 Check out a historical photo gallery of the Cadets' uniforms. Read more about these new uniforms on www.yea.org.